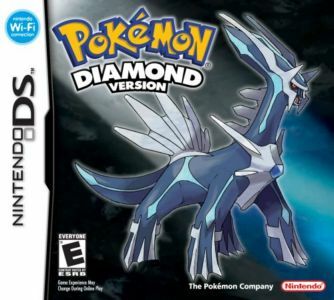 Pok&eacute;mon Diamond and Pok&eacute;mon Pearl offer a number of exciting new features to please both experienced and new Pok&eacute;mon fans alike. Set in an entirely new region called "Sinnoh," players can choose to begin their adventure as either a boy or girl Pok&eacute;mon trainer on a path to becoming Pok&eacute;mon League Champion. The adventure continues as players can bring Pok&eacute;mon from their Game Boy Advance Pok&eacute;mon games to Pok&eacute;mon Diamond and Pok&eacute;mon Pearl using the GBA game slot on their Nintendo DS.